These swimming pools in Montjuïc's Olympic Ring attract thousands of people in the summer. Piscines Bernat Picornell are three swimming pools open to the public: an indoor pool, an outdoor pool (both 50m) and a diving pool. 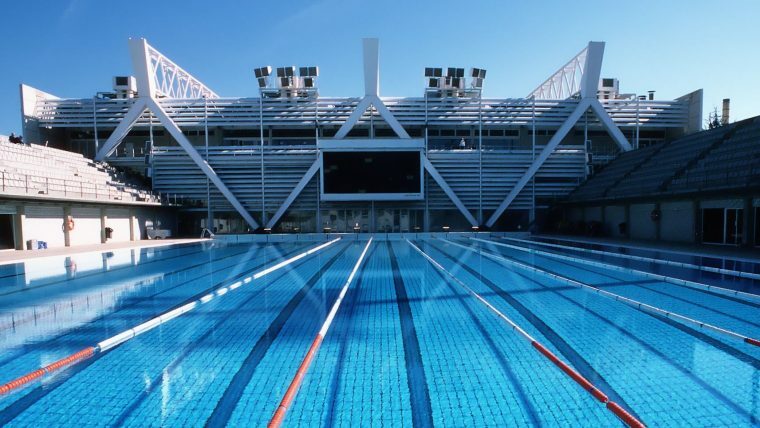 They opened in 1970 for the 12th European Swimming Championships (1972) and were renovated in 1990 to hold the swimming and synchronised swimming competitions, the final stage of the water polo tournament and the modern pentathlon at the 25th Olympic Games (1992). Since then they have staged some major international events, including synchronised swimming at the 2003 World Swimming Championships and the 2013 World Swimming Championships. Servei d'Ensenyament i Assessorament Esportiu. Entitat Gestora: AiguaEsport i Salut, sl.